Tough To Say No To CT Scans In Emergency Rooms : Shots - Health News A new study shows that CT scans have increased in emergency rooms nearly six-fold since 1995 and show no sign of tapering off. But the findings also suggest that the ER may be overusing or misusing the technology. A trip to the emergency room today is likely to trigger a round of routine diagnostic tests from blood work to an electrocardiogram to a urine sample. And increasingly, there's one more on that list: the CT scan. A new study shows that CT, or computerized tomography, has increased in ERs nearly six-fold since 1995 and shows no sign of tapering off. 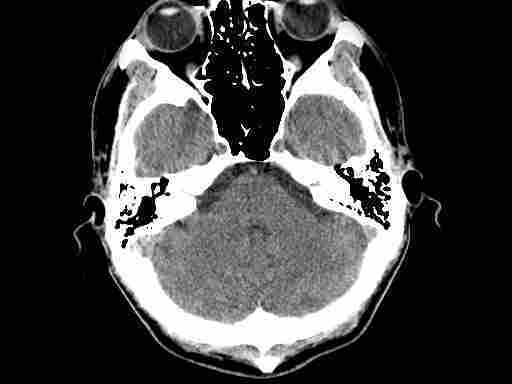 CT, a radiology tool that once took nine days to finish, was used 16.2 million times in 2007 to diagnose headaches, stomach aches, back pain, chest pain and the like. That was a huge increase from 1995 when it was used 2.7 million times, according to the paper published online in the journal Radiology. David Larson, a radiologist at Cincinnati Children's Hospital Medical Center and author of the study, tells Shots that the CT scan is more popular in part because it's getting harder for doctors to decide when not to do it. "Because it's so widely available, because the images are so exquisite, there's the temptation to use it for anything," he says. The findings also suggest, he adds, that "we may be heading toward overutilization or inappropriate utilization." Indeed, some studies have sparked concerns about radiation exposure and other problems from overuse. One recent study found that the risk of getting cancer from a single CT scan could be as high as 1 in 80. But Jeff Goldsmith, co-author of the book The Sorcerer's Apprentice: How Medical Imaging Is Changing Health Care, says it's different when you're the one lying on the table with a stabbing pain in your gut. He has twice had CT scans for abdominal pain and says he was "grateful" the scan could diagnose his problem and lead to quick treatment. "It could be viewed as an emerging standard of care rather than something we should be concerned about," he says. He even suggests that increased CT scanning might eventually lower health care costs by preventing unnecessary, even higher-cost, exploratory surgery. A typical CT scan of the heart can cost $500 to $1500. Meanwhile, it’s hard to know what the current utilization rates are. If the upswing has continued, then "by now probably about 20 percent of patient visits are affiliated with a CT scan," Larson says. He adds a note of caution about making such predictions, but preliminary data from 2008, which was not included in the study, seems to follow the trend. Nonetheless physicians, including Larson and Goldsmith, see the need for more research. "The value that a CT provides, even if it's negative, is reassurance. It's hard to provide a dollar value on reassurance," Larson says.